That’s the date when my parent’s anniversary falls. Also, it’s the day when I decided to do something more than just contemplating about becoming an author someday. It was a day when I determined to become a doer. To be frank, starting to write my debut book wasn’t tough at all. It was set to be a memoir and recollection of my father’s struggles, his relationship with me and my life with my mother after his untimely departure. But, as I stated above, starting to write the book was easy. That’s because I had already spent several hours thinking what my first book would be about. Thus, I had absolute clarity in my head about where I wanted to start the tale, and where I wanted to end it. However, after mere 5-6 days of typing down all the thoughts brimming at the top of my head, I had hit a cul-de-sac. I ran out of ideas to type out because even if the start and end points were clearly defined in my head, I had never thought much about the narration I needed to take the reader to that intended end of my tale. So, that was it- A Full Stop. Just within a week of having started writing my debut book, I gave up. I had succumbed to the idea that I was not ready to write an entire book on a single topic yet. A 2,000-word article was more my thing. A book, not so much. So, I took a hiatus. A yearlong break. But, I was still certain that whenever I was to write my first book, the theme would be the same. It had to be a eulogy written in my father’s remembrance which would take his tale full of struggles, love and dreams to a large set of people. However, as they say, just a spark can be enough to light up a fire. Something similar happened with yours truly as well. At times, people or things that don’t mean anything to us end up giving a lot of meaning and direction to our lives. 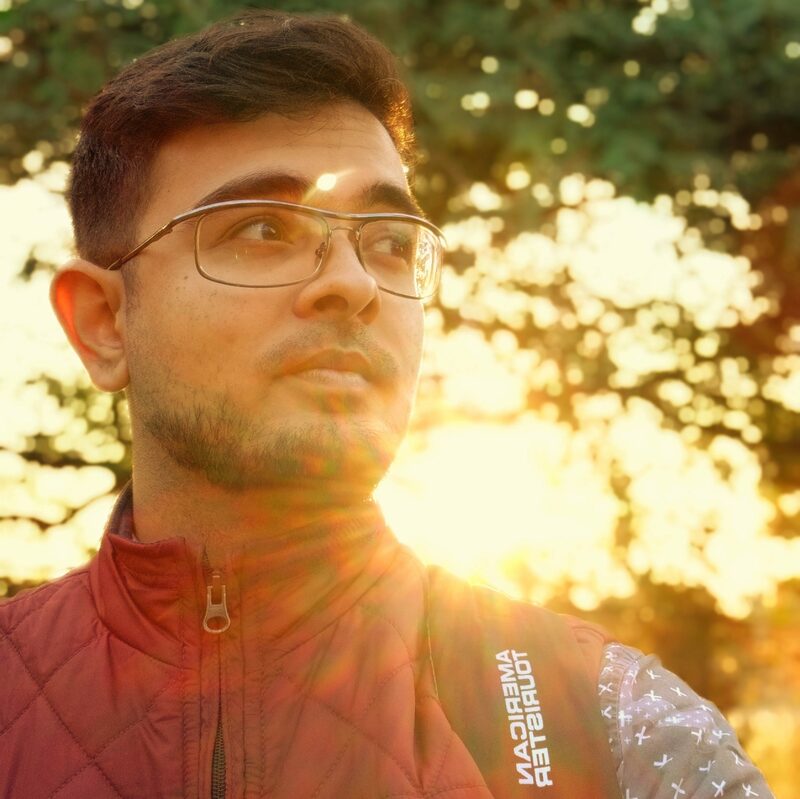 A fellow Quoran, Divyansh Mundra had had a similar impact over me when he self-published his debut book, “The Secrets of Himalayan Treasure” in Nov 2017. Even though he was a nobody to me, him publishing his book moved some part inside of me- The part that had been stopping me from writing my much-delayed book. His achievement reminded me what dream of mine I had rendered forgotten. And, with that realization settled in my head, I didn’t even waste another minute. I pressed the reboot button! It was 27th November 2017, the day when I reopened that forgotten word document on my laptop and read all that I had written almost a year ago. After parsing through it all, I made some realizations. Firstly, over the year-long course I had read and written a lot, and that had improved my writing skill in a huge manner. I was not a good writer before, neither was I now. However, I had gotten way better at the craft. Thus, I had to rework everything I had written earlier, else that would not have matched up with rest of the book that I was to write. Secondly, I had now learnt that just sitting in front of the laptop screen, hoping that thoughts would come out on their own as I would type, it just wasn’t going to work that way. If I had to write a book that would make me feel proud of myself, I had to do a lot more thinking and planning before taking to typing down things. Thus, I opened a separate word document on my laptop and started typing in it everything that I wanted this book of mine to be about. I wrote down in brief what story about my father and myself I wanted to tell. This exercise surely took about a week to reach a solid form. But in the end, I had a clear-cut outline to follow. I now had a much better idea about what I had to write, and when and where. There were wide-ranging topics that I decided to craft the tale around. My relationship with my father. His struggles. The differences we held. The way I mistreated him towards his last years. How his untimely departure from the world broke me and then built me afresh. And how my bonding with Maa evolved as a result. My book was going to weave through it all. I also thought a lot about the purpose of me writing this book. Who I was writing this for, and what I wanted the reader to take away from it. And I concluded that I didn’t want it to end up becoming just another book on the shelf of someone, gathering dust after a single read. I wanted it to become a book which would someday bring a set of parents and their children closer. I wanted it to become a book which would transform relationships that parents and children share with each other. With all that clarity settled in my head, I started typing one more time. And, this time, I went on a non-stop streak for almost 2 months. I added 200-500 words to the draft each day. The point I had in my head was simple- No matter how less time I might be able to make out of college curriculum each day, I had to write some bit of my book every day. However small those bits be, it didn’t matter. But writing some bit every day did. And, my strategy worked. In those two months, I wrote a really good amount. I had formed a solid base to further build my story upon. But, when you are engaged in the same activity for long, you often tend to lose your zeal for it day by day. The excitement and energy often wither away. More and more of you begins to ask for a change, for a break. The same happened to me. And, with the hectic schedule at college coupled with sundry other activities that I was pursuing, writing with a fresh mind each day was getting tougher too. Thus, I succumbed and went on to take another break. Thankfully, this one lasted just two months. Also, by that time I had written about half of the book. Or maybe about 40 percent. But, this time when I took up with writing my book again, I had a big factor playing in my favour. My college was off for summers, and my internship demanded just about 8 hours of rigorous work each day. Thus, I had begun to find plenty of time at my hands to dedicate to my book. Ergo, now, I would write more and more every single day. Five hours at the least. And, as I was getting closer to my intended end of the book, I never even realized when those 4-5 hours of writing grew to 8-9 hours of a daily ritual. I would get to writing immediately after returning from work. I would keep typing chapter after another till late in the night. And despite sleeping late, I would wake up early each day and write again for an hour or two before I would have to get ready and leave for work. Even when at work, I would be busy appending more words and paragraphs to the book every time I would get a break. Basically, my book had become the very definition of my days. I was on a mission mode. Trust me, hitherto then I had never shown this scale of passion and religiosity towards any activity I had ever pursued in my living of over 23 years. Writing this book had become a drug which I had gotten addicted to. It had evolved into an effortless, smooth and soulful activity without which my days hardly had any meaning. I would always be thinking about things I could add to the book. Or things I could remove. Or aspects I could re-write or better. Even when talking to best friends Shreya, Yukti and Shivani, I would talk only about two major things. Number one, how much I missed them. Number two, how much I had progressed with my book. Every aspect and every hour of my days had begun to witness some bits of me being engaged into completing my book. And eventually, it happened. Co-incidentally, it was Father’s Day (17 June 2018) when I had finally completed writing the first draft of the book that I had been writing in remembrance of my father. It was exact 11:37 pm when I had hit the “Save” button on MS Word on my laptop. I stood up from the chair I was seated on since evening 7 pm. I walked around a bit smiling with the image of my beloved father reflecting in my head. And, with those positive vibes gushing through my veins and elevating me to a state of utopic peace and joy, I at last slept down on the cold floor of our living room, experiencing a kind of an accomplished feeling that I had never been exposed to before. That day, I felt like I had achieved something significant as a son. A son, whose proud father could cry happy tears which would rain on me from the heavens above. I know it sounds metaphorical. But trust me, that was the feeling. The feeling which said, I had made something good of myself. I then apprised Maa about it the next morning. Over the days that followed, I then recited every word of the book to her. Every word that I had written over a span of over a year and a half investing an unparalleled scale of time, energy, tears and emotions. During that course, we both cried at times and laughed at others. There were instances when we fought a little too. She wanted some portions gone while I was not ready to make any changes at all. But, in the end, she was really happy and proud of her son. There was so much about me that she didn’t know before and got to learn only during those recitations. Thus, reading my book to her was an amazing journey of its own which I am going to remember and cherish forever. That said, once I was done reading the book to Maa and making some minor changes, I spent another month and a half editing the book. Thanks to Shivani, Shreya, Yukti & Sahana, my amazing chums who became my book’s first readers and primary editors. They gave me the first review and feedback on my work which helped me further transform the book into the superlative form it today is in. Trust me when I say it, compared to what my book’s First Draft was like on that Father’s Day, the post edited Final Draft version of the same was a humongous achievement. I had removed over 15,000 words of content that my book could do well without. And, also, I had added another 10,000 words of fresh content that aforementioned first readers felt the book needed to support and further strengthen the storyline. And, that is how, slowly, silently, crawling and running, there came the moment when I was ready. Ready to share my father’s and my tale with the world out there. Then at last on 21nd October 2018 my debut book released on the Kindle Store on Amazon. PS: It’s been getting great reviews so far on Amazon India and Goodreads. It was at no.7 in its categories of ‘Family’ and ‘Death & Grief’ for the first 3 days, and then went on to be counted among Top-20 to Top-50 books in its categories for over a month. If interested, do give it a read here. Cheerio! Shilanjan- The son of Shila and Niranjan.